A bird’s eye view of publisher’s performance data enables you to analyze competitors in seconds. Visibility into the metrics of a publisher across both stores enables you to understand the full scope and value of the company. 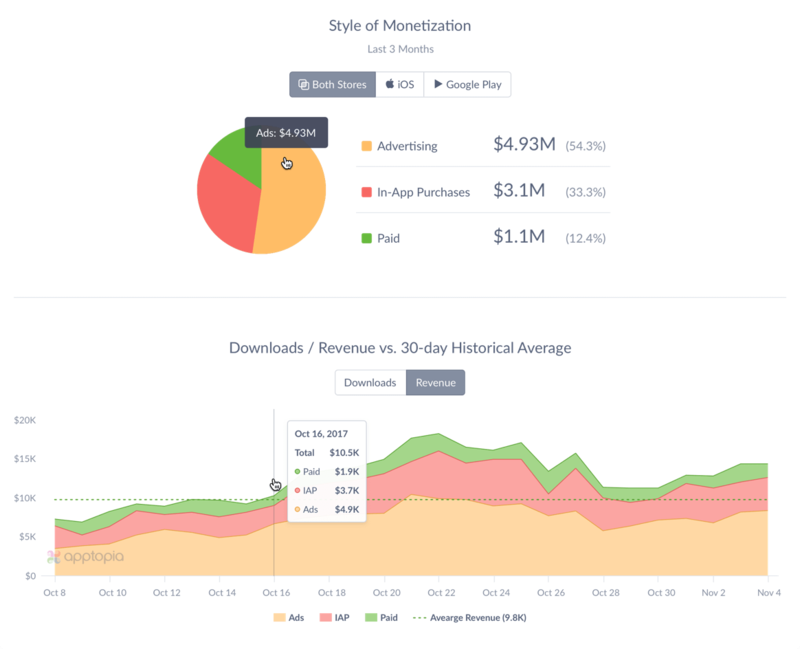 Apptopia displays a breakdown of revenue for Ads, In-App Purchases and Paid Revenue across both stores, complete with a 30–Day History in a single view. 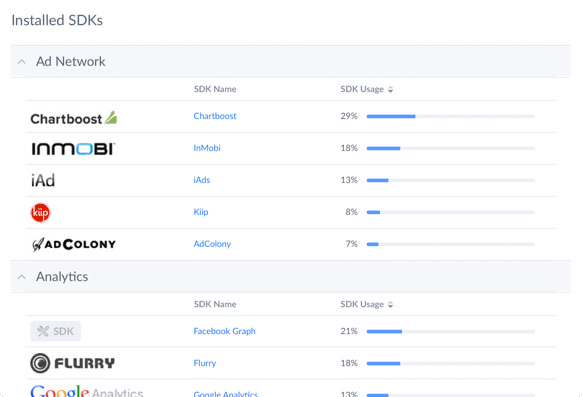 Know every SDK every publisher has installed across their apps before narrowing in on their app catalog to view combined revenue and downloads of each specific app.